Other lens shapes available. If you'd like a shape with a code not shown here, please call us at 800-248-9427. The feeling of relaxed freedom, independence and easiness for all your senses are Silhouette's inspiration for innovation and revolution. Each and every day is dedicated to the new, the consistent intention to create the very best for spectacle wearers. Silhouette surmounts the limits of the seemingly impossible and sets benchmarks in the design of rimless eyewear. Each single Silhouette rimless eyewear is a showpiece - the pride and joy of its wearer and Silhouette. Silhouette Rimless Eyeglasses are so lightweight and comfortable, it’s almost like not wearing eyewear. Featuring styles for men and women in plastic, metal and titanium, including Hypoallergenic models, Silhouette Rimless Eyeglasses are sophisticated and stylishly beautiful in their rimless simplicity. Silhouette Rimless 5506 Inspire Eyeglasses are about freedom, innovation and vision without boundaries. 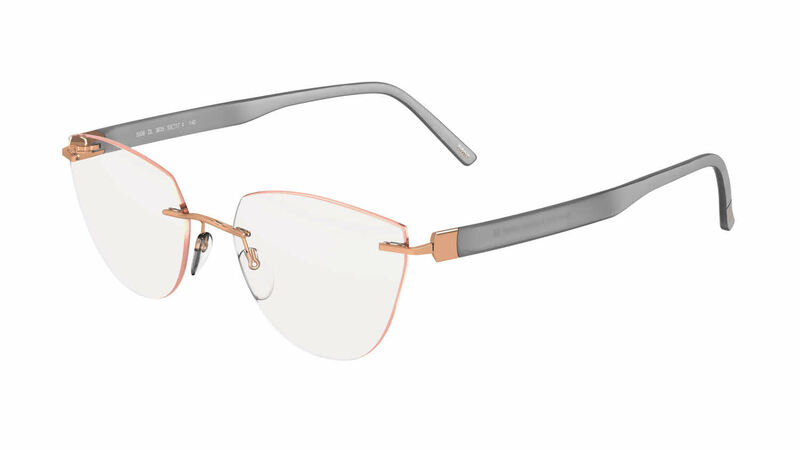 Several shipping options are available with your online purchase of Silhouette Rimless 5506 Inspire Eyeglasses at FramesDirect.com. Silhouette Rimless 5506 Inspire Eyeglasses are for prestige-oriented people who want to express their high lifestyle standards in their outlook as well. Silhouette Rimless 5506 Inspire is a Rimless frame for Men and Women, which is made of Titanium. Titanium is one of the lightest and most durable materials. Its superior tensile strength and corrosion resistance make it a smart investment. It is hypoallergenic, so it comfortable as well. Silhouette Rimless 5506 Inspire Eyeglasses come with a cleaning cloth and protective carrying case.